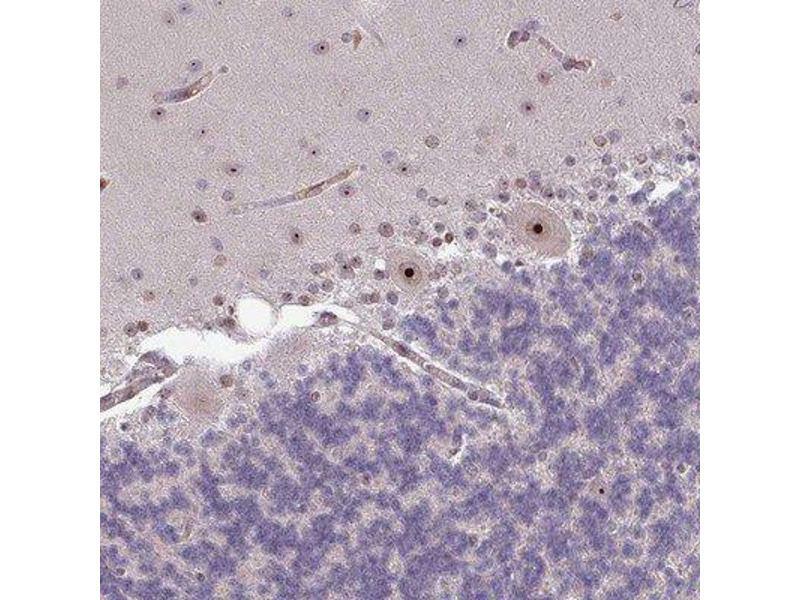 Immunohistochemistry-Paraffin: RRN3 Antibody [NBP2-13267] - Staining of human cerebellum shows strong nucleolar positivity in Purkinje cells. 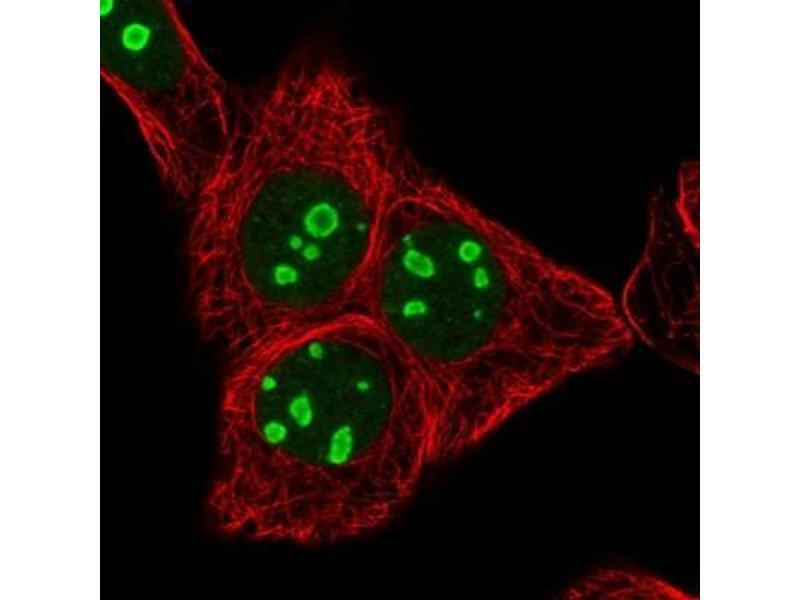 Immunocytochemistry/Immunofluorescence: RRN3 Antibody [NBP2-13267] Staining of human cell line MCF-7 shows positivity in nucleoli. 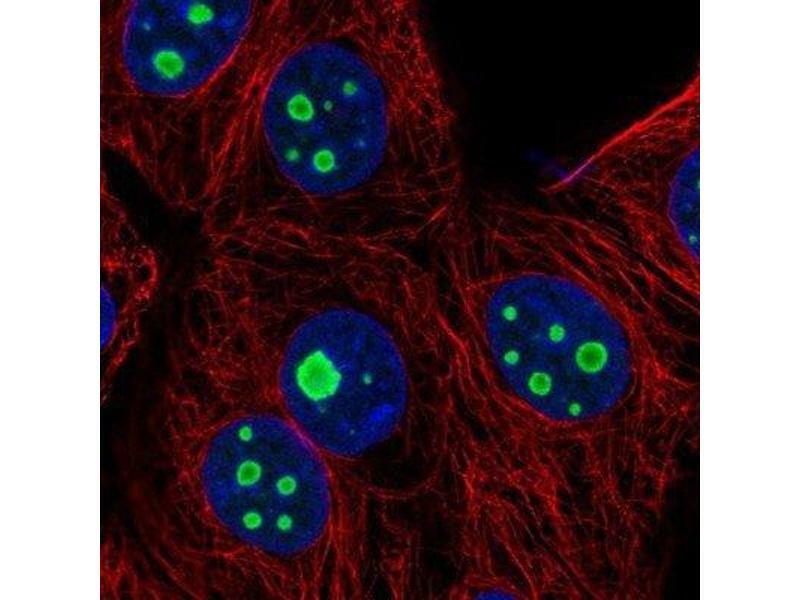 Immunocytochemistry/Immunofluorescence: RRN3 Antibody - Immunofluorescent staining of human cell line MCF7 shows localization to nucleus & nucleoli. 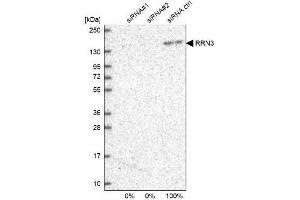 Western Blot: RRN3 Antibody - Analysis in U2OS cells transfected with control siRNA, target specific siRNA probe #1 and #2. 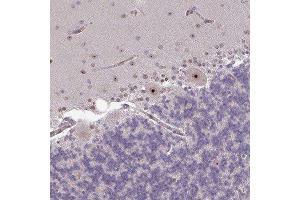 Remaining relative intensity is presented. Application Notes Immunohistochemistry, Immunocytochemistry/Immunofluorescence 1 - 4 μg/mL, Immunohistochemistry-Paraffin 1:200 - 1:500This product has been validated for use in IHC-Paraffin Embedded Tissues. 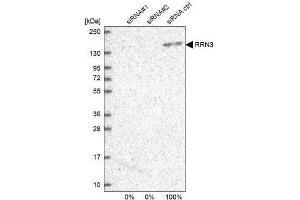 HIER pH 6 antigen retrieval is recommended. 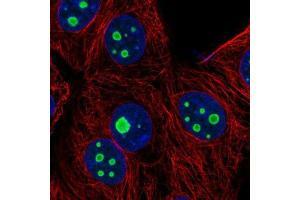 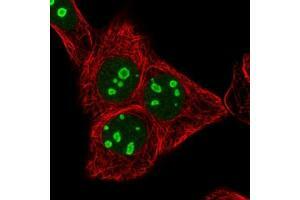 For Immunofluorescence, Fixation/Permeabilization: PFA/Triton X-100.